The Irish Cancer Society had been calling on hospitals to waive fees for people undergoing long term treatment. MINISTER FOR HEALTH Simon Harris has ordered a national review of hospital car parking charges. The announcement this morning follows scrutiny around the amount of money hospitals are earning by charging patients and visiting family members for parking. Public hospitals have collected almost €13 million in a year in parking charges, with maximum charges for a full day of parking ranging from €3 to €15. There are currently no national guidelines governing charges for parking at Irish hospitals and the Irish Cancer Society has been calling on them to waive parking fees for people undergoing cancer treatment. In a statement this morning, Harris said he knows some hospitals do take into account the pressure these charges can put on patients and families who are dealing with illnesses and have measures in place to alleviate this pressure. “However, I want to make sure that we have national guidelines in place to inform practice in hospital parking charges around the country,” he said. He has asked the HSE to carry out a review, with the aim of establishing clear guidelines for the first time. “I have asked the HSE to engage with the Irish Cancer Society and other patient advocacy groups, in order to ensure that the review takes account of the circumstances of patients, particularly those who require long-term care,” he said. 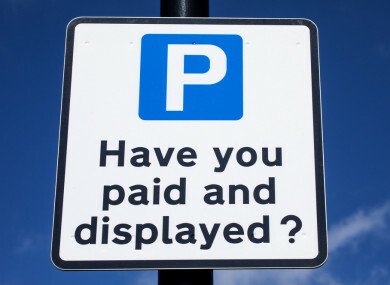 Email “HSE ordered to carry out review of car parking charges at hospitals ”. Feedback on “HSE ordered to carry out review of car parking charges at hospitals ”.